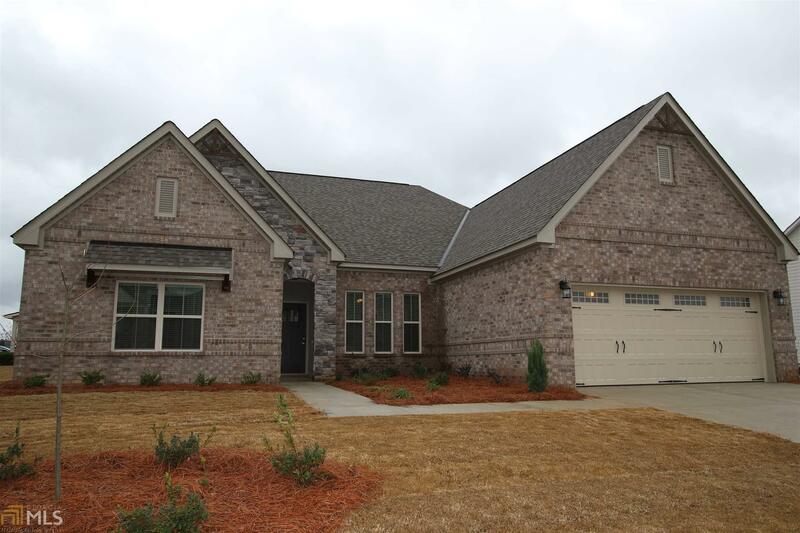 The "Lakewood E" is a 4-sided brick home with numerous upgrades! This 4 bedroom, 2.5 bathroom home features an open vaulted family room and kitchen with large center island, granite countertops, SS appliances, walk-in pantry, and adjacent breakfast area. Home also features formal dining room off main foyer and separate office/study room. Large Master suite offers functional master bath with split granite vanities, garden tub, and tiled shower with glass door. Oversized walk-in closet in master as well! Subdivision amenities include community clubhouse, two lighted tennis courts, Olympic-sized pool, and community access to lake. Directions: From I-85s, Take Exit 14, Turn Left Onto Hwy 27 (Hamilton Road), Turn Left Onto Bryant Lake Blvd, Turn Right Onto Mere Way, Turn Right Onto Linman Dr, Home Is On The Left.